First – I want to point out that this is a great cause, with a fantastic idea for an incentive. My own family has been affected deeply by Alzheimers and I was more than happy to contribute. That said, I would be lying to imply that having the opportunity to share my story with Joe’s audience was not a huge bonus and persuaded me to make a donation *right now*. Sometimes a reason to get off the fence is needed. While I have actually written a book (about book marketing, titled “How To Market A Book”) that is not what I want to talk about today. 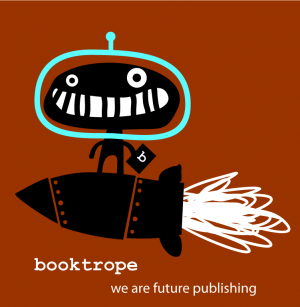 I am co-founder of a new type of publishing company called Booktrope. Our tagline is “reinventing the way books are published” and that is genuinely our goal. When we first started the company, I scoured the internet for proof of concept that what we were thinking of doing, could work – that someone other than the Big 6 publishers could create and successfully sell books. That was just over two years ago and that was when I discovered this blog. Since that time, I have continued to read Joe’s words and would like to take this opportunity to say thank you. Joe - without realizing it, you have been advising us, challenging us, and forcing us to examine what we do all along the way. We haven’t always agreed with your views, but I can assure you they made us stop and reflect as we found our way to where we are now. In my opinion, the best thing about being an author today is that you have choices about how you publish your work – not just overall in your career, but for each project you produce. That said, there are still primarily two ways to accomplish this - the traditional publishing route and self-publishing. Booktrope offers another alternative. We have created a process we call Team Publishing which is supported by a back-end website and platform we call Teamtrope. Simply put, we bring together teams of people in order to publish books. Teams are typically comprised of: author, editor, designer, proof-reader, marketing manager and Booktrope (although teams can and do vary). This team works together to create then market and sell the book. All members of the team are compensated via a profit-sharing (royalty) based model. In other words, no one, including Booktrope, makes a dime until and unless the book sells. This keeps our overhead low but quality high. It also means the entire team is highly motivated to market the book. We do not charge fees and we do not accept all manuscripts; therefore we are not self-publishing. We are committed to transparency, honesty and quality. We believe the bulk of the profit from books should go back to the creative team who produced them. In fact, 70% of profits go to the Creative Team with the author receiving the largest share. We believe our teams should know how their books are selling more often than twice per year, so we tell them. We believe in community and collaboration over competition. We are format agnostic, producing all the primary e-book formats as well as print. We believe routinely offering books for free builds readership, and sells more books. Oh – and as of July, we began paying all team members, including authors, monthly (press release here). Because we also believe people should be able to make a living and plan their finances, as with any other career. Here is how our process works. Authors submit their work, and if it is a genre we are looking for, it goes into our Early Reader process. Early readers are simply volunteers who love books. They help us decide which books we move forward with. We created this system because we wanted a selection process that gave us insight into what real readers wanted to see, rather than an elite group of editors or publishing tastemakers. These are real people who love to read. Once a book is through the Early Reader pool, it gets loaded into Teamtrope. All the members within Teamtrope are screened to ensure they have the skills to participate based on their role. Teams then form around the book projects, negotiating for percentages depending on the scope of work they will provide. Booktrope provides guidance on percentages, but does not control them. Team members must agree to work with one another – no one is assigned in our system. This is crucial, since all team members are giving of their talent and skill, ahead of being paid. Booktrope handles the contracts, the finances, provides layout services and uploads the book to all major systems. We also provide training, general support and a collaborative environment for all team members. We have learned a lot over the last two years, and that expertise is offered to our teams. So does it work? Yes. We have had numerous best-sellers on Kindle, Nook and iTunes – both free and paid. Some examples of our successes include: “Riversong” by Tess Thompson (women’s contemporary fiction), “Memoirs Aren’t Fairytales” by Marni Mann (literary fiction), “Touched” by AJ Aalto (paranormal romantic suspense), “The Puppeteer” by Tamsen Schultz (romantic suspense), “Jailbird” by Heather Huffman (romantic suspense), “Let the Dogs Speak” by Marianne McKiernan (non-fiction, animal memoir), and “Invisible Ink” by Brian McDonald (non-fiction, writing). 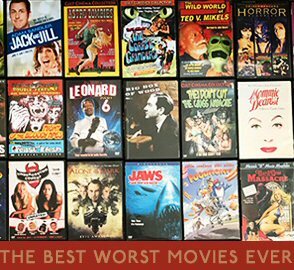 I am proud to say there are many many more. You can view a full list on our website or search Amazon for “Booktrope”. To sum up, we are grateful to live in a time when publishing is changing, because we are able to use that change to create something new and innovative. If you have any interest in being a part of it, don’t hesitate to reach out. We are always looking for new team members in all areas, including authors (authors can submit here, other team members here). Joe sez: It always amuses me to look back at my old blog posts and see how ahead of the curve I've been. Four years ago I wrote a post about a term I coined, Estributors. One of the things I said was that Amazon should start publishing authors. Another is that people would arise to help authors publish books in exchange for a royalty percentage or fee. A lot of writers don't want to deal with the business side of the business, and are content giving up a share of the profits in order to have the business stuff done for them. If you become successful enough, you'll reach a point where it makes sense to have people assist you, because doing it yourself takes you away from writing. It actually becomes cheaper to hire help than to do things on your own. I have an assistant, an accountant, a banker, and a financial adviser, along with a formatter, proofreader, cover artist, and agent. It's still strange for me, because at 43 years old I'm only now becoming a responsible adult. For the majority of my life I didn't have health or life insurance (couldn't afford either) and I lived paycheck to paycheck--especially difficult when legacy publishers pay twice a year. Now I have zero debt, I make my surplus funds work for me, and I pay lots of people to do lots of things that need to get done. Running your own empire requires people. You can pay these people a flat fee, or a royalty, depending on your current income. Here's another eerily prescient blog post from four years ago. Am I forward thinking or what? In a nutshell, I talk about a form of crowdsourcing involving user aggregated content--something very similar to what Booktrope is doing. As I say a lot, there has never been a better time in history to be a writer. And no writer has to be an island. We have help available to us. We simply need to figure out how much help we need, and what its worth.